5. 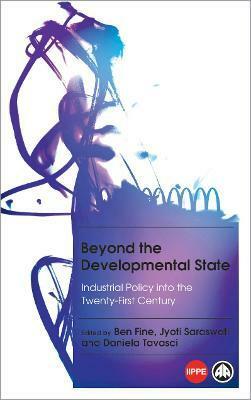 What of the Developmental State Beyond Catching up? Ben Fine is Professor of Economics at SOAS, University of London. He is the author of the critical texts, Macroeconomics and Microeconomics (Pluto, 2016), co-author of Marx's 'Capital' (Pluto, 2016) and co-editor of Beyond the Developmental State (Pluto, 2013). He was awarded both the Deutscher and Myrdal Prizes in 2009. Jyoti Saraswati teaches on the Business and Political Economy Program at the Stern School of Business, New York University (NYU). He is the author of Dot.compradors (Pluto, 2012) and co-editor of Beyond the Developmental State (Pluto, 2013). Daniela Tavasci lectures at the School of Economics and Finance, Queen Mary University of London. In addition to working in the financial sector for seven years, she is the co-editor of Beyond the Developmental State (Pluto, 2013).